© 2013 by Chaleigh Glass; all rights reserved; content may not be copied, rewritten, or republished without written permission. At one time or another, most homeowners find themselves dealing with unwelcome guests. No not your in-laws, but something that can be just as big of a problem—Pests! A few insects are fairly easy to treat, but large infestations may require hiring a professional pest exterminator to achieve optimal control. Here are a few tips to help you safely eliminate indoor pests, and when to call professionals for help. Insects head indoors when they are looking for food, water, and shelter. Proper sanitation will discourage bugs from entering your home in search of these things. Always keep your garbage in a container with a tightly sealed lid and sweep underneath your kitchen table to remove bits of food. Avoid leaving pet food and water out at night because this also attracts bugs. Clean your kitchen sink regularly, removing particles of food. Fruit flies can travel many miles in search of fermenting fruit, so be sure to throw fruit away before it is overly ripe. Pests will have a hard time getting inside your home if you identify where they may be able to enter easily. Replace all damaged window screens and install tight fitting thresholds underneath your doors. Fleas love to feed on your dogs and cats. 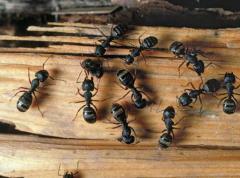 These pests are especially hard to eliminate once they take up residence inside your home. Getting rid of fleas is possible without using dangerous flea soaps and sprays. You can use an herbal rinse to keep fleas off of your pet and outdoors where they belong. Place 1/2 cup fresh rosemary in a quart of boiling water and allow to steep for 30 minutes. Remove the liquid from the heat and strain it into a bowl. After it cools, apply it to your pets coat and let it dry before allowing your pet to go outside. You can also find a variety of organic pest control products at your local garden center. Another organic flea control approach is to start adding one tablespoon of organic apple cider vinegar to your pets water bowl every time you refill it. Once it is in their system, not only will it repel fleas, it offers many other health benefits. Your house plants can suffer from insect infestations. 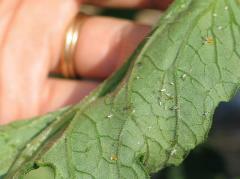 Spider mites are attracted to indoor plants and often leave wispy webs visible on plant leaves. Aphids are another common plant pest. These brightly colored insects are often found on the undersides of plant leaves where they extract plant sap. You can reduce pests like these by using a process known as syringing. Place your plant in the shower and run a hard stream of water over the foliage for a few minutes to knock insects away. Repeat this process several times a week for optimal control. Another pest to be vigilant about is the fungus gnat. They breed in excessively wet potting soil. These gnats can become a nuisance when they begin to swarm indoors. To keep fungus gnats out of your home, only use sterile potting soil when preparing your indoor plants. If despite your best efforts, you are still finding large infestations of insects inside your home, its time to call a professional exterminator. For example, in Oregon, a licensed Portland exterminator can eliminate indoor pests safely and efficiently, and often extremely quickly. The great thing about using a professional exterminator is that they will also be able to place preventative traps and chemicals around your home that will keep insects away, but you will need to recognize that you will have to pay a regular fee for these services. One final tip: a very good organic insecticide is orange oil. You can find it at nurseries that sell organic gardening supplies. The price will vary from season to season depending on citrus crops, but a little bit goes a long way. And it wont harm kids or pets!